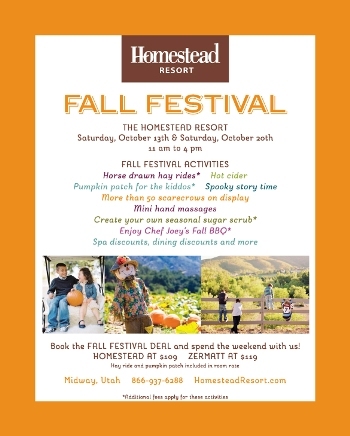 Go to The Homestead Resort Facebook page, "like" it, and post "I heard about the Fall Festival through @Enjoy Utah, and my favorite thing about the Fall Festival/Scarecrow Festival is__________. 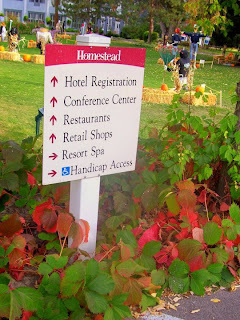 I would love to win a night's stay!" Fill in the blank. Next Thursday morning ,October 11th, they will choose their favorite comment, and send you details about your night's stay.